The 2018 STIHL TIMBERSPORTS® Australian Championship is heading to the Gold Coast! 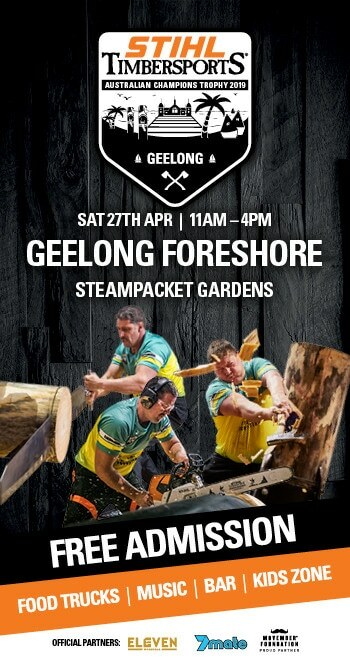 The Original Extreme Sport – STIHL TIMBERSPORTS® – smashes into action on Saturday 15th – 16th September at the Broadwater Parklands, Gold Coast. 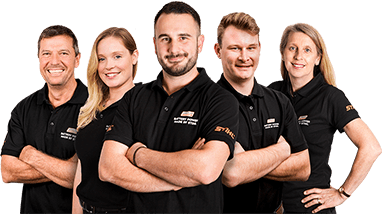 STIHL TIMBERSPORTS® is now in its 4th year of local competition and continues to enjoy great success and support, firmly becoming a staple on the Australian sporting calendar. The 2018 Australian Championship promises to bring even greater excitement and action to the stage. 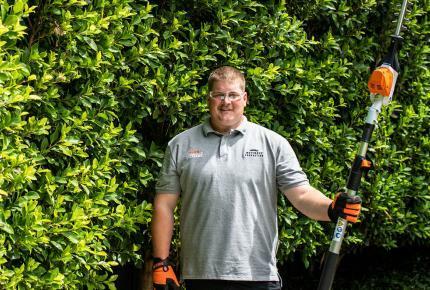 The rivalry and competition between the athletes intensifies as they bid to become a Chopperoo and take on the Worlds’ best at the 2018 STIHL TIMBERSPORTS® World Championships to held in Liverpool, England in October. 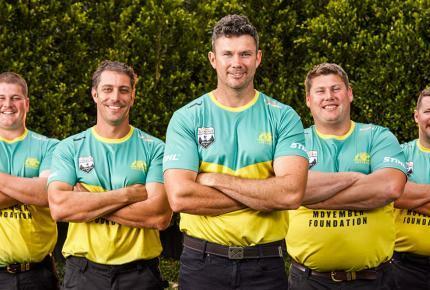 The Men’s Australian Championship sees’ the country’s top athletes in the original extreme sport compete across the six STIHL TIMBERSPORTS® disciplines. The Champion will be the athlete who accumulates the most points in Sundays Championship final, they’ll take home the lion’s share of the $100,000 up for grabs in prize money and prizes, plus the prestige of representing Australia on the world stage. The Champion will be joined in by 5 other athletes to make up the Chopperoos team looking to claim their 5th Team World Championship, with positions awarded based on performance across the weekend. Australian’s have a rich history of success in STIHL TIMBERSPORTS®, but none more so than the Reigning Australian Champion and 4 time World title winner Brad De Losa (NSW). Hot favourite to de-thrown De Losa is Brayden Meyer (VIC) who is the only other Australian athlete to have achieved individual success on the world stage, Meyer looked to have the last year’s championship all sewn up until an error in the final discipline, when his 350cc Hotsaw failed to start 1st time, gifting the win to the New South Welshman. De Losa and Meyer aren’t the only ones to be watching come 14th September; Mitchell Argent (QLD) took down both the top guns on his way to winning the 2017 and 2018 Australian Champions Trophy, the ultimate endurance format of the sport; and returned home from France in May with a hard fought 3rd place at global championship. Other athletes in contention include Laurence O’Toole (VIC), who finished 3rd in the 2017 Australian Championship, and Glen Gillam (VIC) who finished 4th. 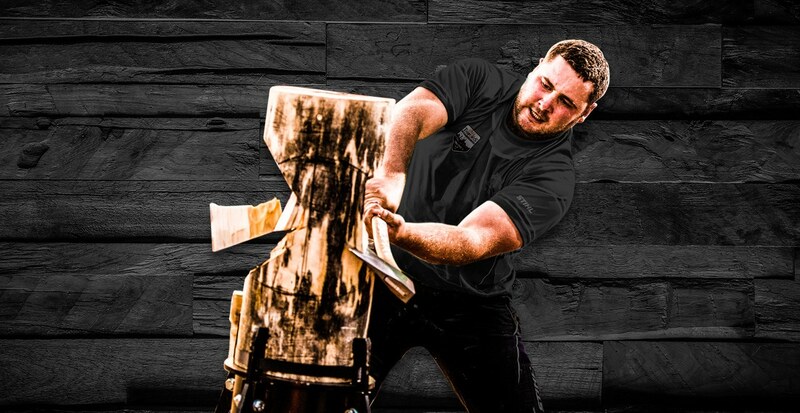 It’s not only the men that will be looking to claim a STIHL Timbersports crown; after a successful launch in 2017 the sports 2nd Women’s Championship will take centre stage, along with the hotly contested Rookie Championship where the STIHL TIMBERSPORTS® stars of the future look to qualify for the Rookie World Championship, of which Daniel Gurr (TAS) is the reigning Rookie World Champion after winning the title in France earlier this year. If the Gold Coast community can drag themselves away from the heart stopping action on stage, they will be able to relax and refuel in the Food Truck Carnival Co.’s Entertainment precinct, which will be packed with iconic food trucks from across the state. A kids’ carnival, roving entertainment, live music acts and licensed bar ensure the 2018 STIHL TIMBERSPORTS Australian Championship will be an event for all the family to enjoy. Brad De Losa (NSW), Laurence O’Toole (VIC), Jimmy Head (QLD), Mitchell Argent (QLD), Kody Steers (TAS), Brayden Meyer (VIC), Glen Gillam (VIC), Jarrod Williams (VIC), Brent Rees (WA), Matthew Gurr (TAS), Daniel Gurr (TAS), Chris Owen (NSW), David Coffey (VIC), Dale Ryan (NSW), Blake Meyer (VIC), Justin Beckett (NSW). Amanda Beams (TAS), Katrina Head (QLD), Maddie Kirley (VIC), Adele Deverell (VIC), Jodie Beutel (QLD), Jillian Stratton (QLD), Suzie Coffey (VIC), Kris Brown (VIC), Debbie Clissold (NSW), Renee Retschlag (QLD). Josh Bakes (TAS), Jack Argent (QLD), Kyle Meyer (VIC), David Reumer (NSW), Daniel Beams (TAS), Zack Beams (TAS), Gerald Youles (QLD), James Geiger (QLD). Please note, times may vary slightly on event day. ENTRY is FREE. Stihl TIMBERSPORTS® is an international extreme sports competition series. 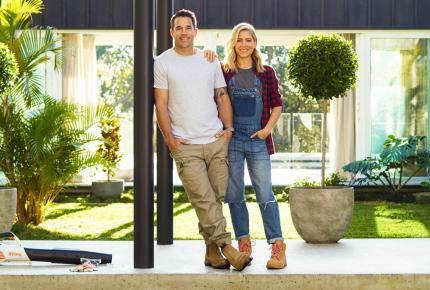 Its roots lie Australia and New Zealand, where workers in the timber industry would hold competitions to determine who was the fastest in a range of wood chopping and sawing disciplines that closely simulated their everyday work. These logging disciplines evolved with time into a series of sporting disciplines that require tremendous athleticism, strength, precision and power. Today the world’s best athletes compete in national and international events featuring three axe disciplines and three sawing disciplines. Springboard, Underhand Chop and Standing Block Chop are the classic axe disciplines; Single Buck (single-man cross-cut saw), Stock Saw (standard chainsaw) and Hot Saw (tuned, customized chainsaw with up to 80 horsepower) are the sawing disciplines. Athletes compete against each other and the clock. For more information visit: www.stihl-timbersports.com. For this discipline, the ultimate power saws are called into action. Hot saws are custom chainsaws powered by ‘full race spec’ motorbike or jet ski engines. Athletes have a space of only 15 centimetres to cut 3 complete discs from a 46 cm log. Jumping the gun or cutting over the line will result in disqualification. Strength and timing are needed to handle these awesome machines. Saws range in value from $10,000 – $20,000. The single buck is a massive 2 metre long one-man saw. With this, the athletes cut off a complete disc from a 46cm log. The perfect mix of rhythm and strength are key to success. All competition Single buck saws are hand filled, and cost in the region of $2000-$4000 depending on the filler. Saws will last approximately 10 competitive runs before they will need to be re-sharpened. In the stock saw, athletes use the new MS 661 C-M Magnum Chainsaw available at any STIHL store. Athletes must cut 2 discs, called cookies, from a 40cm diameter log, within a 10cm mark. Top competitors can cut one downward and one upward cut with the powerful STIHL MS 661 C-M Magnum chainsaw in less than 7 seconds. In the past, the underhand chop technique was used to cut a felled tree down to size. Standing on a horizontal log, the athletes cut with an axe through a 32 centimetres of wood. The log has to be worked from both sides. Nerves of steel are needed as the axe impacts just centimetres from the athletes’ feet. Top athletes will aim for 10-12 hits in the front and then 10 or less in the back in a time of 12-20 seconds. The springboard imitates an old lumberjack technique to overcome hard root wood. The athletes cut two pockets in a vertical log 2.7m high. With the help of the springboard they climb to the top and cut through a 27cm diameter log from both sides. Strength, speed and agility are needed for a win. Top athletes will aim to cut their pockets in 4-6 hits and then cut the log off with 10-12 hits in the front and then 4 or less in the back in a total time of 40-60 seconds. Athletes will bring anywhere between 4-8 axes to any competition, each varying in weight, head size and with different blade angles. Each axe costs between $500 – $1000. Poplar will be used in the 2018 STIHL TIMBERSPORTS® Australian Series across all disciplines except the Single Buck, which will use hoop pine, as this is less abrasive on the saws. This is similar wood to that used in the STIHL TIMBERSPORTS® US and European Series. It is softer than the hard wood that is traditionally chopped in Australia, but doesn’t make it easier as the axes tend to stick a little more meaning competitors have to pull the axes out of the cut as well as hitting it in. All the competition wood has been sourced from dedicated re-growth forests, following strict guidelines to ensure it is consistent at each round. After each round, the wood is offered as a donation to local charities who can bundle it up and sell for firewood.